Books: BookExpo of America -- Publishers Come out Swinging! If you love reading, the Book Expo of America is heaven. Every publisher under the sun is there, along with authors and agents and distributors and backroom suppliers and online purveyors. Everywhere you go amongst the crowded aisles of the Javitz Center in New York City, people are handing out copies of new books -- free books! -- that won't even come out for weeks or months. Lines snake everywhere just to pick up a book and get it personalized by the author. Huge billboards outside tout the latest blockbuster from name brand authors or those about to become one, like Terry Hayes, whose thriller I Am Pilgrim was the belle of the ball thanks to a rave review from Janet Maslin of The New York Times right before the BEA began. Most of the excitement was for books that those in the know were buzzing about but which readers wouldn't hear a peep about until the fall. It's like a lot of conventions for a lot of industries, with some notable exceptions. You may work at a widget company, you may even like widgets, but when you work in the book industry, chances are you love books. And most other conventions don't have fans roaming the aisles, hungry for their product and ready to sell it to the world. At the BEA, those fans are the owners and employees of the 2000+ independent bookstores still standing, along with the staff of the major bookchains like Barnes & Noble and BAM. (A few hundred new indies opened up in the past year, but that's a far cry from the 7,000+ in its heyday.) Toss in bloggers and reviewers and you're talking about a lot of people who get excited about your product and do everything they can to get people to buy it. Those fans are the lifeblood of the industry and the BEA, coursing through the aisles, maneuvering their wheeled suitcases (the better to cart around a LOT of free galleys), waiting for autographs, attending panel discussions and generally cheerleading your work. No wonder publishers love the BEA. And no wonder they're expanding to include the general public. Realizing BookCon can and should be as popular as ComicCon (and the fan outreach romance writers have pioneered for decades), the general public day on Saturday was taken over by ReedPop (the company that helps make ComicCon happen) and it was far more successful and engaging than ever before. Next year, BookCon will run two days and be bigger than ever. Technology has roiled the industry like never before. But this year at the Book Expo, it seemed less a topic of fear and more an opportunity. Every publisher -- indeed every person I spoke with -- was exploring all sorts of new ways to capitalize on social media and ebooks and battling back against the forces that seemed ready to overwhelm the industry. Yes, Amazon vs. Hachette (which for all intents and purposes to everyone at BEA was Amazon vs. the Entire Book Industry) was a huge topic of discussion, a starting off point or easy applause line at countless panels. (If you're not familiar with this issue, check out my weekly podcast at Showbiz Sandbox. It explains what's going on in quick and easy terms on Episode 238. Links to the free podcast on iTunes are at the bottom of this piece.) But the fear, the confusion about what's next is gone. Everyone was very engaged, very tech savvy. That's a pretty big change for an industry that remained essentially the same -- at least on the surface -- for a hundred years and took probably a decade too long to do something as simple as switch from shipping heavy, expensive catalogs to their industry contacts every quarter to making them available online and saving tons of money in the process. Now the handwringing is over and the fight for survival -- and dominance -- is on. Here are some quick impressions gathered from days of wandering the aisles, chatting casually and interviewing officially numerous people in every area of the book biz. Everyone from a publishing house had dozens of books to tout, so this isn't a glimpse at the big books of the fall or the major issues tackled, just a casual glimpse behind the curtain at all the goings-on. ROMANCE WRITERS ARE INNOVATORS -- You probably think of romance as the most traditional of genres, even if you read romances. But the romance publishers and writers have been at the forefront of innovation for decades. They've been masters at outreach to fans with conventions and gatherings, they work social media like a political operative (when not watching Scandal, presumably, or perhaps while watching Scandal), they use Skype to make personal connections with fans at book clubs, blazed the trail on ebooks and on and on. You can chart changes in the industry just be seeing what romance has done. Meet with HarperCollins people in the romance arena and they'll explain all this for you, all while touting authors like Cora Cormack, who had a breakthrough with her very first book Losing It and has just launched a new series set at college called All Lined Up -- it's like Friday Night Lights goes to college, they say. (If you're a fan of the show like me, just think of it as the show from Julie Taylor's point of view.) In the first of a trilogy, the daughter of a high school football coach is sick of being overshadowed by that sport. So she can't wait for college...where her dad is promptly signed to be the new coach and she falls hard for a boy who naturally turns out to be on the team. They had me at Friday Night Lights and it was one of the rare books plugged by a publisher that was already in stores. And then who walks by but the author herself. That's the BEA for you. SOCIAL MEDIA SOCIAL MEDIA SOCIAL MEDIA -- You might think doing a tweet means you've got a social media campaign. You'd be wrong. Every facet of the business was working to figure out the best way to break through the noise of hundreds of thousands of books that come out every year and become one of the lucky few that turns into a bestseller. And that's just books -- they're also competing with TV and music and movies and video games and sports and just about everything else you can name. Naturally, companies are there to help, from specialists in a particular area to tech companies that can make it easier for publishers and authors to get the word out. One such company is Bublish. Readers can sign up and browse their website, but it's not really about creating a space that becomes popular. For Bublish, the main focus is on authors and publishers, giving them the tools they need to get the word out on their books. That doesn't begin when the book comes out... in fact, it often starts when the book is still being written. Authors stay engaged with fans by asking them which title they like, which cover, maybe raffle off the chance to name a minor character, share chapters as they're being written and so on and so forth. Bublish was founded by Kathy Ann Meis to assist authors and publishers every step of the way. Sounds simple, but trying to come up with a way to allow a usually tech-phobic author to pull anything from a paragraph to a chapter or more from their work (or work-in-progress) and post it on Bublish and thus various social media platforms like Facebook and Twitter is daunting indeed... especially when every publishing platform tends to have their own quirks rather than sticking to an industry standard. Interestingly, Bublish also gives a "dashboard" where authors and publishers or any client can track metrics and see which posting is succeeding and why -- are book excerpts more popular on Facebook than Twitter; did the cover image get shared more than the title when it was announced; and so on. With so much info hidden behind the walled garden of Amazon, everyone is hungry for cold hard facts. LIBRARIANS ARE COOL -- When I discussed all the fans of books, I didn't mention librarians. Why? They have their own convention. Yes, the American Library Association and BookList (their essential source for reviews of the endless wave of books that come out) were present. And surely essential meetings took place. But it's hard not to think of the BEA as a mere warm-up for the ALA gathering taking place in Las Vegas from June 26 through July 1. (Heck it's even longer than the BEA!) While an uptick in the number of indie stores was hugely welcome news for those who value books, it's disheartening when so many of these new ventures seem to come complete with Kickstarter camaigns, calls for volunteers to help stock shelves and so on. Are these businesses or co-ops? So while everyone crosses their fingers and hopes the blood-letting is over, many privately acknowledged that in the future the library may be the last refuge for book lovers in most towns around the country. And everyone knows you're not a town until your town has a vibrant, well-funded library. Road trip to Vegas! EBOOKS AT LIBRARIES IN OVERDRIVE -- One of the big players in the library world is OverDrive. They're one of the many technology-driven, backroom companies here at the BEA. There's even a DigitalZone for those launching their ventures with hopes of becoming the new site for book discovery or a digital platform or the Netflix of books. But OverDrive is far more established than that. If your library offers ebooks (and most do), chances are they work with OverDrive to make that happen. This is a hugely challenging task, given the multiplicity of ereaders and tablets, the varying ways in which books are published digitally, the challenges of visual efforts like picture books and how every darn device seems to have their own annoying rules for what they'll display and how. Just making a simple copy of a text-based thriller (you know, a book with just words) and getting it to download to your personal device via your library and thus be readable on your phone or Kindle or Nook or whatever device you choose is really, really hard. Don't get us even started on "enhanced" books, which have video and music and other stuff embedded into them. OverDrive is the company that fights to make that as seamless as possible. Libraries and publishers were at loggerheads for years and it's only now that every major publisher makes their ebooks of new releases available in some way, shape or form to libraries. (Sometimes at absurdly onerous terms.) OverDrive is Switzerland when it comes to those battles. But they do push for standards that can make everyone's lives easier. And one of their clever innovations has appeared on HuffBooks (a sponsoring presence at BEA) -- this was a way to allow anyone to "embed" code for a particular book the way anyone can embed a video from YouTube on their blog, Facebook page or wherever they choose. The result is that offering an excerpt from a book (usually up to the first 10 percent but fully controllable by the publisher) will be easier than ever, allowing fans to share their passion the same way music fans can share songs and TV fans share a clip. And if you're sporting a press badge, you'll be stopped and chatted up by everyone from the friendly staff at the L. Ron Hubbard/Scientology Bridge Publications (one of the world's newer religions) to self-published author Paula E. Yorker (a devout Christian, one of the world's older religions). Yorker was struck by tragedy when her daughter Sia died after a sudden acute brain hemorrhage. (Sia was about to study medicine at my school, the University of Florida.) It's disconcerting to ramble around chatting about the latest thriller and then be caught up short by such a painful event. But Yorker found solace in her faith and the strength to make something positive out of this event. She shares her story with anyone she can, launched the Sia Brain Awareness Foundation to educate people about the signs and symptoms of acute brain hemorrhage, campaigns for preventive measures to avoid brain injury and self-published a book called What Do You Do In The Midst Of A Suddenly? I've seen dedications in books that thanked God and even dedications that name-checked the Holy Trinity, but Yorker surely gets bonus points for being the first author I've seen to give a lengthy praise individually to the Father, the Son and the Holy Spirit. (If she were Hindu, I suppose the dedication would be longer than the book!) Sometimes a book changes lives and sometimes life changes result in a book. Hopefully Yorker can complete the circle and raise awareness to prevent further tragedies. NEW ADULT? -- I came to the BEA thinking "New Adult" was a silly and unnecessary marketing term. I left thinking it made a lot of sense and would probably stick around for good. So what's New Adult? It's the next step after Young Adult. Here's the thinking: Romance and its fans are getting older. Many of the titles in that genre feature characters in their 30s and 40s, appealing to wives and mothers. Heck, even Bridget Jones is a 51 year old widow with two kids! Publishers saw a gap and in plunged New Adult. It's not meant to be naughtier and sexier than Young Adult (though it might be). It's just books geared towards people in their 20s and 30s, those in or just out of college and starting their lives. Remember, Young Adult was dismissed as a confusing and unnecessary genre just a few short years ago. And now it's arguably the hottest tag in all of fiction. So consider me sold on New Adult as a marketing tool. Long before ebooks and their inexpensive price point, I realized books in the Young Adult section were often just $7 or $8, far less than similar books in Fiction. And great novels can be found anywhere from those in the "kids" section to fantasy to graphic novels to romance. I really don't care how they label and market titles; if it's good, I'll read a story about a fourth grader, a college grad or a grandmother. WUNDERKINDS AT PR -- The team at Wunderkind PR is comprised of industry vets with decades of total experience working at major houses. When Elena Stokes left her job to have a child, she slowly transitioned into freelance PR work, dipping her toe into taking on a job or two, signing up with an author or publishing house on a particular title that everyone wanted to give a big push and for which Stokes could help craft a unique and focused campaign. Well, one job led to another and another and she was joined by Tanya Farrell and now they've got a growing business. They're in the position of having enough work to only take on projects they're truly excited by, such as Dr. Mutter's Marvels, a fall title by Cristin O'Keefe Aptowicz, a look at the medical innovator and the man behind the creepily fascinating medical museum named after him in Philadelphia. We met near a car gussied up for a road trip that would be promoting the very promotable Let's Get Lost by the very promotable Adi Alsaid. The August book is about a young woman on a road trip and the people she meets along the way. So Alsaid is going on a road trip to promote it in a car tatted up with imagery from the road map boo cover. Harlequin Teen was looking for a book that could remake their "brand," the way they're seen by readers and believe this is the book to do it, so they'll be promoting it heavily on MTV and other slots you don't usually see Harlequin titles. (Presumably any music video for it won't contain the song sung by Chet Baker...but it should.) Sometimes Wunderkind is hired by the publisher, sometimes by the author. But it's a sign of the times that to gain attention for any book -- even one published by a major house -- you need to pull out all the stops and come up with innovative ways to get the word out. COAST TO COAST -- Some day I'll make a concerted effort to meet someone from all 50 states at the BEA. It felt like I did it without trying this year, thanks to people everywhere from Florida to Maryland to Ohio to Seattle. All of them were passionate about books. And nothing exemplified that span of the country and that passion than the booth shared by the boutique houses Feminist Press and City Lights. Feminist Press is partnered with the City University of New York. City Lights is the publishing arm launched shortly after the famed San Francisco bookstore and is now based in the same building on the west coast of America. Both had typically knowledgable and passionate staff and an eclectic array of releases to tout. I was intrigued by the Feminist Press new edition of George Sand's What Flowers Say. A collection of tales written for her grandchildren (usually known as The Castle Of Pictures), it's illustrated by Molly Crabapple, who shot to fame for her work with the Occupy movement. 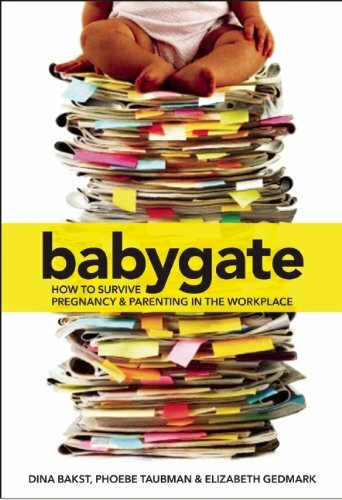 I also liked the nonfiction work Babygate, which helps parents navigate pregnancy and the workplace and proselytizes for more sane laws that would allow and encourage women and men to both be fully engaged with raising their child. Passionate, committed to change...and the cover is great! Does that sound silly? It shouldn't. I've often found that great books inspire great covers from the artists that create them. Plus, when a publishing house is truly excited by a book, they often go the extra mile to make certain the cover does it justice. City Lights had a clutch of fascinating titles and I soon realized there were hundreds of booths by small houses I hadn't hit during the BEA and I bet a lot of them had hidden gems as well. At least I had a chance to learn about their 50th anniversary edition of Frank O'Hara's classic collection Lunch Poems. I was also intrigued by Man Alive: A True Story Of Violence, Forgiveness and Becoming a Man by Thomas Page McBee, an authority on gender telling his own story and more universally the need we all have to create our own identity. It too has a great cover and a range of ideas so all-encompassing you could stock it almost anywhere in a bookstore. Finally, there's A Corner Of The World by Mylene Fernandez-Pintado. Unusually, this Cuban author will be able to leave her country and go on a book tour and that alone should help this tale of a Spanish lit professor and her affair with a young author rise about others and gain some much-needed attention. Two small presses on opposite sides of the country, working together to share a booth and tell the stories of their authors. The City Lights publicist who shared info on all their releases was Chris Carosi. And how long had he been working with City Lights? Well, you could measure it in weeks. Young and out of college, he was venturing into a career in publishing when the industry never seemed more threatened by change and turmoil, when the only bookstore in the country it seems might soon be Amazon. He just shakes his head whenever he reads that movies or music or video gaming or social media like Vine or you name it is about to make reading novels and nonfiction obsolete. "Books aren't going anywhere," said Carosi. Note: Michael Giltz is provided with free galleys and final copies of countless books to consider for feature or review; he receives far more books than any one human could possibly read. But he tries.